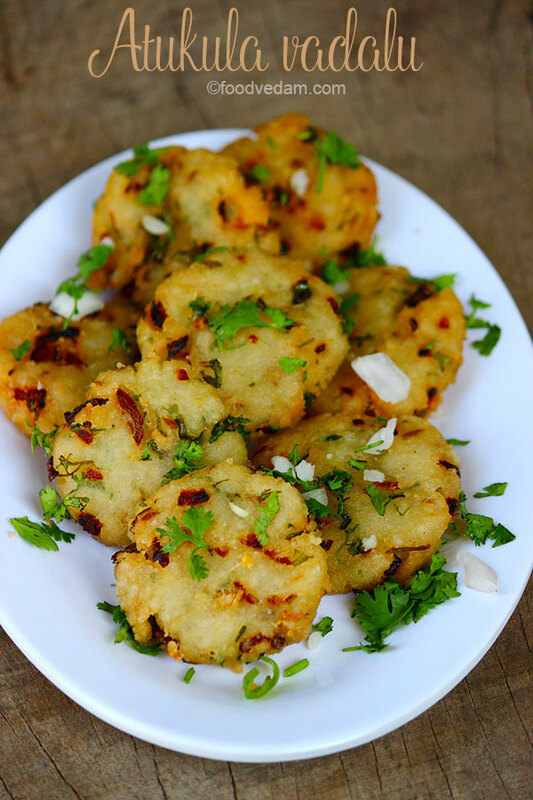 you may also like Mirchi Pakoda ,� Punugulu/Bonda ,� Sweet corn vada ,� Betel leaf Pakodas ,� Prawns pakoda……..
take 150 grams of poha into a bowl. soak in water 3-5 minutes. squeeze out the water from poha and keep aside. add chopped onions,green chilies,ginger and chopped coriander leaves in soaked poha. add 1/4 cup of rice flour,salt,cumin seeds and mix well. the batter should be tough otherwise they will absorb oil. take a lemon-sized batter into your hand each time and make into flat round shapes. 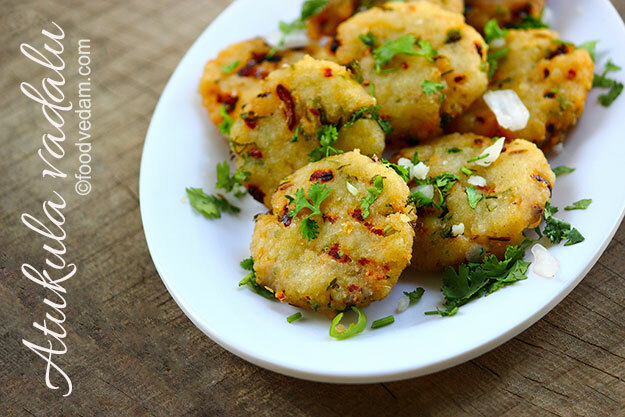 leave the vadas into oil carefully. take them out and keep on paper towel for few minutes.